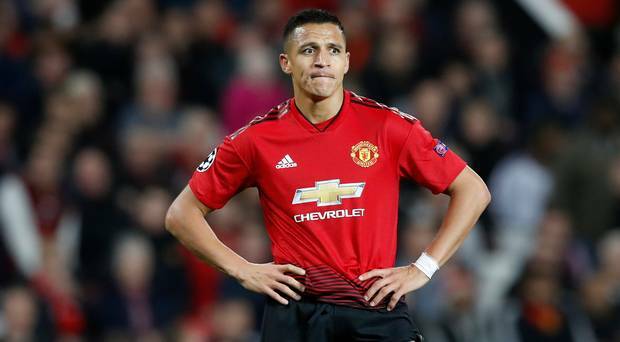 Manchester United are reported to be willing to part ways with Chile international Alexis Sanchez at the end of the season on a loan deal but they have been told how to be profitable in doing so. The Chile international joined the Old Trafford from the North London outfit Arsenal in the January winter window of 2018 but he has not been the player the Red Devils thought they bought as he has not lived up expectation. Having handed him some opportunities and the free hand to return back to his best, he is yet to deliver and the interim boss Ole Gunnar Solskjaer seems to be running out of patience. There is a need to free up space at the club. Suggestions are that the Red Devils are willing to part ways with Alexis Sanchez on a permanent deal but his weekly wage has been the major challenge because it is on the high side. However, Arsenal legend Ray Parlour has told the Red Devils to benefit as well by having a swap deal with Real Madrid for Gareth Bale to come to their direction. He noted that both players are on the same level of wage, hence there will not be an issue about that for the two sides while Alexis Sanchez could go ahead to regain his form while Gareth Bale will be a good addition and dream signing for United.